Would you like a dynamic STORYTELLER for your event? 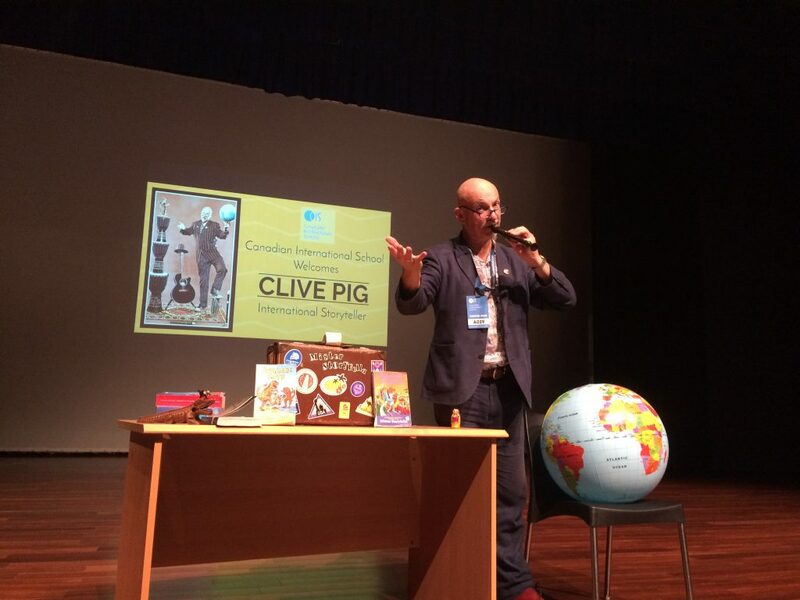 Clive PiG’s unique storytelling style is theatrical and interactive, combining music and song, rhythm and rhyme to enchant audiences of all ages. His dynamic delivery of traditional, original and topical tales appeals to young and old, making him a popular performer at festivals, schools, zoos, libraries, museums, campfires, deep dark woods, haunted castles and all sorts of shenanigans throughout the UK and beyond. Clive PiG has hundreds of stories in his repertoire and can also tailor tales to specific themes. His act is self-contained and adaptable, making it suitable for indoor or outdoor locations. UK: No 10 Downing Street, Glastonbury Festival, WOMAD, Edinburgh Fringe, National Trust, English Heritage, National Youth Theatre, Arvon Foundation, Cambridge Folk Festival, Somerset Health Authority, H M Dartmoor Prison, Royal Cornwall Museum, Newquay Zoo. Overseas: British Council in Jordan, Knitting Factory New York, Railway Club Vancouver, Winnipeg Folk Festival, schools in 20 countries. And yes, he’s available for weddings, parties and most things, anywhere! Whether you’re looking for a STORYTELLER for a small private party, a story walk, a site-specific extravaganza, or a large scale event – Clive PiG’s your STORYFELLA!